Welcome to Durango Natural Medicine and your opportunity to begin an incredible healing experience. We work to discover and understand the causes of your health issues and provide safe, naturopathic medicine treatment options that will foster deep healing, not just temporarily cover up symptoms. We create a unique healthcare experience that utilizes the very best of both ancient medicinal traditions and modern science and medicine. At Durango Natural Medicine you are the boss. We listen to you and guide you through your healing journey with care, support and respect, holistically, for your mind, body and spirit. 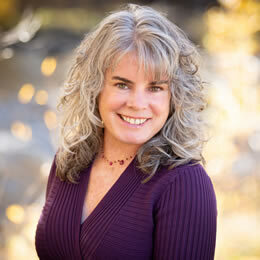 Durango Natural Medicine is the the naturopathic medical practice of Dr. Nancy Utter. Dr. Utter has been providing naturopathic medicine options to Durango and the Four Corners communities since 2003. Dr. Utter believes that naturopathic medicine is filing in the gaps left from a conventional healthcare system that is not able to provide a full range of choices for those seeking to heal. Many of her patients are looking for a holistic experience that treats the whole person, body, mind and spirit. One of Dr. Utter’s biggest goals in working with her patients is to help them achieve a new state of vitality and long term health. Your body knows how to heal, we support it to do so. Find out about our mentoring program for naturopathic doctors.